If you are just on the cusp of self-publishing your book, there are many important decisions you will need to make. For one, you may be considering which format to publish — digital edition, paperback, hardcover or a combination. If you were considering publishing only a digital edition, there are several reasons you may want to reconsider. They put proofreading into a new (or old) perspective. There’s something about seeing your book in physical form – as opposed to just the virtual, electronic format – that forces you to look at it in a different way. You see your book with a reader’s eyes. You realize new possibilities in your copy. You even catch errors that were previously invisible to you. 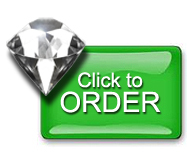 Make a print version of your book part of your publishing plan. Then, reserve those first printed copies for yourself and go over it with a fine-toothed comb. Your final version will be all the better for it. Old-school readers love them! Sure, e-books are gaining traction, but millions of readers still prefer the crisp feel and smell of newly minted pages. Keep a stash in your tote, briefcase, car trunk or glove compartment – any place where you can grab one when the opportunity to sell arises. Book reviewers often insist upon them. Positive reviews are a powerful marketing tool that could launch your book into a new realm of sales. But many critics won’t consider reviewing your book in anything but hardcopy form. When the time comes, choose a few reputable critics you’d like to review your book and submit a hardcopy with the appropriate submission application (and fee, if applicable) for the best shot at getting attention. It’s your gift to posterity. When the current crop of e-readers and smart devices gives way to a new wave of technology, a paperback will still be a paperback. Have a small stack around as keepsakes for family, friends and the aforementioned dedicated hardcopy readers. Your archivist will thank you. There was a time when electronic files served as backup to the physical printout. How times have changed! These days, think of hardcopies as your archive pieces. Your physical record of a work that also exists in the virtual world. Have as many reference copies as you want, but we recommend keeping at least three or four in a safe, dry (and fireproof) place for your own records. Have more questions about your publishing options? Outskirts Press has a team of Publishing Consultants available to provide you with a personal consultation and help you choose the publishing package and options that are right for you. 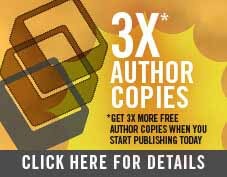 START PUBLISHING AND GET 3X MORE FREE AUTHOR COPIES! For a limited time, receive THREE TIMES the author copies for FREE! Outskirts Press self-publishing authors are eligible to receive three times as many free author copies with their respective self-publishing package. 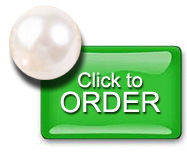 To receive the promotion, simply enter the promotion code 3XJULY15 when checking out of your shopping cart while purchasing the Diamond or Pearl publishing package by July 31, 2015. Each of the eligible publishing packages includes a unique ISBN, standard interior formatting, a variety of professional cover styles, and distribution which includes availability through major online retailers such as Amazon and Barnes & Noble. All in all, you’re looking at over $500 of free stuff in July! 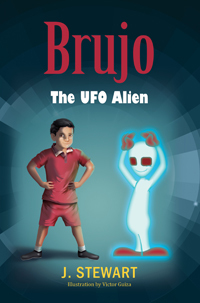 J. Stewart, a life-long storyteller sends you the first in a series of Brujo the lovable alien that escaped from the air force hanger to find “with love”. The writer has used himself as a child character named Robert from West Texas. So the stories are from a warm heart bound between the author, Robert and Brujo the alien, a real story with a maybe real alien. A Top Secret Air Force base hanger was on full alert searching for an escaped alien body that had somehow survived the spaceship crash. Men in black and armed military jeeps were lighting the secret area with spot lights to find the unknown dead body that was now alive and running in the dark. Several miles down the hill from the secret base ran a short creature with long white fibers that glowed blue every five seconds. Brujo stopped with a loud yell sounding screath amid glide and pierced his bright red eyes back towards the hanger. He released a final sad screath into the night wind and quickly ran his one, two, three steps interlocked his clawed hands and glided in a blue haze for five seconds towards town. 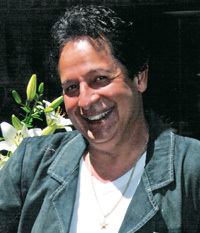 Brujo stared at a house high on hill by a ravine and noticed a glass portal on the side of the home. His red eyes scanned through the big picture window and fixed upon a white cloudy figure playing a large grand piano. He yelped a silent screath and thought what kind of creature is this and can it lead me to my earthly invitee known as “with love”?